The OpenStack cloud computing platform will usher in a lot of enterprise spending over the next few years, according to 451 Research's recent Open Stack Pulse 2014 report. 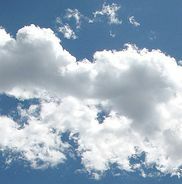 The report notes that much of the spending (roughly 70 per cent) will be centered on public cloud providers like Rackspace and HP, but quite a bit will come from private clouds being deployed. In fact, a separate report from 451 Research notes that "internal private cloud is the preferred execution venue for many enterprise workload types currently, with control/management issues, data sensitivity/IP risk, security and compliance/governance being among the most frequently cited reasons." Here are some of the issues involved in deciding on whether a public cloud service or a private cloud will serve an organization best.